Upstate Renegade Productions © 2003. All rights reserved. Last edited by Louis P. Burns aka Lugh on Thu Oct 09, 2008 10:49 pm, edited 3 times in total. UK government planning u-turn on cannabis legislation. Well, the tax-payer's money wasting, war-mongering clueless idiots within the British/UK government are now considering the reclassification of cannabis back up to a class-B drug from a class-C substance, placing it into the same framework of hard drugs like amphetamines (speed) and barbituates, potentially carrying the same prison sentences for possession. Their reason (they claim) is that there are newer, super-strength breeds of the plant being cultivated that they say are causing mental health problems. Absolute nonsense! I challenge the UK government to properly research and compare the mental health damage done to people on prescribed (and expensive) NHS drugs like anti-depressants against various strains of cannabis and to tell the public the truth. Remember folks that there have been several BBC Panorama documentaries on the very real dangers (including criminality, suicide and violent psychosis) while people adapt to the chemicals prescribed in the UK via the NHS and fully approved of/endorsed by the British / UK government. Likewise with many chemicals being prescribed for pain relief. It's the same old waffle we've heard for years and more to do with them not getting their cut of money from the legal distribution/sale of the plant through taxes because people can easily cultivate their own cannabis. And it is very important to remember always that it is just a herbal plant like parsley or sage. Of course there will always be people out there who want to dabble with creating stronger versions of the plant. Much the same way many people enjoy lots of garlic or parsley in their meals. So, do the British/UK government penalise everyone using cannabis because of the preferences of a few or the unscrupulous activities of a small group of dealers - who incidently wouldn't exist in the first place if the plant was legal? I will of course continue to use cannabis for pain relief. The UK government are more than welcome to waste court and police resources and time prosecuting me, but if that happens I will sue them for breaches of my civil and human rights to self-medicate due to major concerns about the presence of highly toxic chemicals in the crap they allow the NHS to experimentally prescribe. I would also advise everyone in a similar situation as me to do the same. Will those members of the British/UK government who admitted they too used cannabis and who are at present advocating the reclassification of cannabis back up to a class-B drug resign (without pension) in the interests of their voting public who don't want a government run my potentially mentally ill representatives? What the British/UK government are doing here has more to do with those few ruling elite maintaining power than anything to do with care of the voting public (who keep them in employment) and they should be sued into the ground, trampled on by the European courts and eventually resigned to a shameful history. 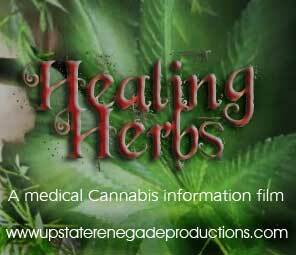 FACT: While using cannabis the above mentioned documentary (HEALING HERBS) was produced by me and in tandem with my colleague (who does not use cannabis). I worked as an actor on television for the RTE, got published a few times in local press and creative writing magazines in America, performed, produced and wrote High Velocity and have worked tirelessly and for no charge to promote the literary works of some of my fellow members of this online community (Sensitize ©), also created and maintained by me. FACT: While using the government approved chemicals I became a redundant, over-emotional trembling wreck and I am sure if I asked my colleagues and friends within media they will verify this and that they were more than a little bit concerned for my emotional and physical wellbeing. So, will the British/UK government be enforcing legislation that creates a situation wherein all that has been achieved by me (while using cannabis for pain relief) goes by the wayside? Will they accept that they are denying people like me a right to create and maintain a career and vocation (albeit limited due to disabilities) and possibly my health/potential recovery/wellbeing? Will they pay me for loss of potential earnings through advertising and maintaining this site and promoting HEALING HERBS + all of the other good work I have done on here and elsewhere to promote the arts? I openly invite cannabis activists from UKCIA and other groups (including the http://www.markthomasinfo.com site, civil/human rights activists, doctors and concerned members of the public (what the heck - even politicians) to join Sensitize © and post their comments either in favour of my stance or in opposition to it. I believe that debate and discussion of this is the way forward out of the silly deadlock and legislation currently governing people's right to self-medicate with a herb which has been used for millennia by various cultures, as opposed to chemicals gained through the maiming, military occupation and murder of people in far off lands by armies working on the behest of the British/UK and U.S. governments + the pharmaceutical companies who have most probably been bankrolling the bloodshed for profit. To join Sensitize © and make your comments, please click here and read our membership guidelines and requirements. Last edited by Louis P. Burns aka Lugh on Wed May 14, 2008 9:19 am, edited 2 times in total. update on the above post. Duncan Campbell for The Guardian wrote: A report on cannabis prepared for next year's UN drug policy review will suggest that a "regulated market" would cause less harm than the current international prohibition. The report, which is likely to reopen the debate about cannabis laws, suggests that controls such as taxation, minimum age requirements and labelling could be explored. The Global Cannabis Commission report, which will be launched today at a conference in the House of Lords, has reached conclusions which its authors suggest "challenge the received wisdom concerning cannabis". It was carried out for the Beckley foundation, a UN-accredited NGO, for the 2009 UN strategic drug policy review. My standing on cannabis legislation. The stuff has been used for centuries by other cultures to control pain, enhance the human experience, resolve conflict (native Americans - peace pipe), and even as part of certain religious practices.